the month of the pumpkin has ended. the month of the apple has begun! well, i’d say i had my share of pumpkin in october. it’s november now, so i’ve moved on to apple goodies!!! surprisingly, i have never made an apple pie. jeff and jodi are on their way from madison for a weekend visit, and the gigantic honeycrisp apples on sale at kroger were irresistable, so i decided to give it a try! i damaged the edge of the top crust a bit during assembly, but other than that it looks pretty good for my first try! it’s still cooling so i can’t comment on the taste, but it sure smells great! 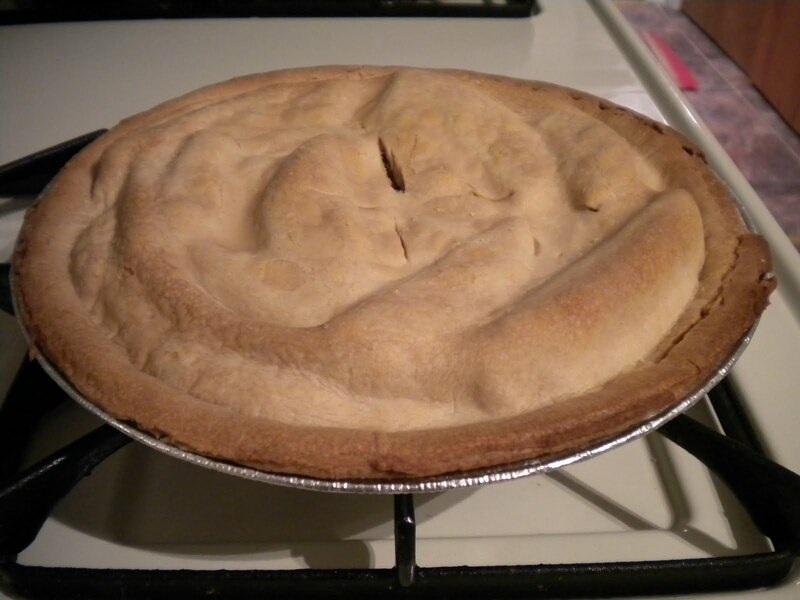 This entry was posted in Baking and tagged apple, apple pie, baking, dessert. Bookmark the permalink.